Call them what you may, this favorite treat brings me back to my childhood summers. When I heard the Dingaling of the ice cream truck, I went running. I would always get either a 50/50 Pop or a Flintstone Push-Up. No need to wait for the Ice Cream Man any longer. 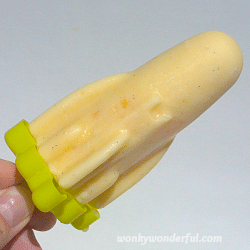 Make your own Orange Creamsicles! 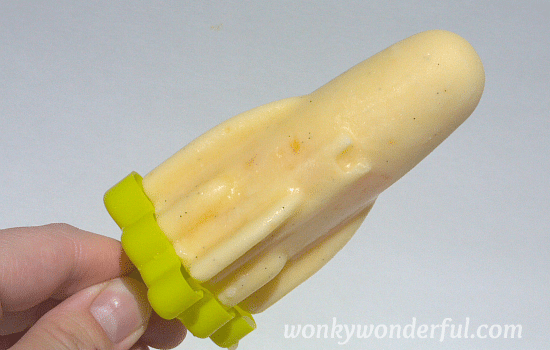 Just mix all the ingredients together and pour into your popsicle molds. I freeze mine overnight. 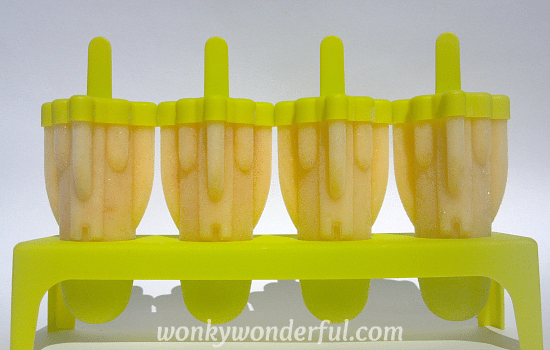 But, depending on popsicle shape & freezer temperature the creamsicles could be ready after 5-6 hours. My Little Birdie certainly enjoyed her Creamsicle, look at that smile. She’s probably wondering why her popsicle doesn’t have the usual distinct flavor of Greek Yogurt. Just like when I was a kiddo!I hope you give these popsicles a try and they put a Smile on your face too.